Just because it’s a little colder doesn’t mean you have to comprise on style. It’s your wedding day, and come rain or shine; you’re going to look fabulous, right? To inspire your look for your winter wonderland wedding, here are 5 of the Best Winter Hair Wedding Hairstyles for 2015 that we’ve put together. 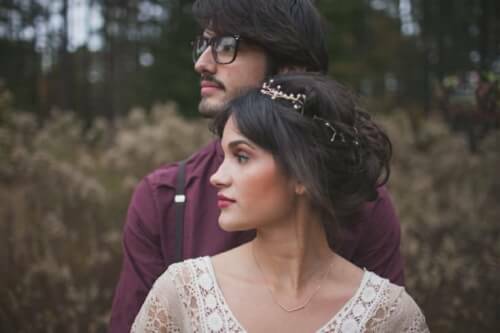 From elegant and sophisticated to bohemian chic with glam, there are many stylish looks that you can try out to find the best wedding hairstyle for your winter wedding in 2015. A Sophisticated Hairdo with a Double Braid Band with A Low Wrap Accessorised with Faux Diamante Hair Jewellery. This look is ideal for bride that is planning on wearing a strapless or off-shoulder wedding dress (you may even opt to use cover up such as a bolero or a shrug that will complement the look grandly). The hair jewellery that resembles a poinsettia seen here can be fitted with a veil making it quite the smart placement. The Au-Natural Bohemian Hairstyle with a Pinned Back Chignon. This hairdo is a winner with bohemian chic brides that want to mingle their style with a bit of glam brought through with the embellished headpiece. The bangs out in front make it the perfect accompaniment to the chignon back. Couple it with a wedding dress that features an intricate back design and you’ve got yourself a lovely bohemian chic winter wedding hairstyle. A classic and beautiful hairstyle that is perfect for winter or any time of the year is ideal for the elegant bride who loves simplicity and class. Complement it with a modern spaghetti strap A-line wedding dress with a sweet heart bodice and it is pure perfection. Chignon with an Embellished Beehive Twist. This is a take on the classic chignon but with more drama where more curls are added to the chignon wrap bun and not to mention the beehive bump that gives it more volume. If you have longer hair, you may opt to do more elaborate/bigger curls. Add a final touch with an embellishment. Choose a band embellishment if you are not thinking of wearing a necklace or a hairpin embellishment if the wedding dress has a lower neckline. Wearing your Hair Long in Curls or an Ornate Braid. The “Frozen” winter hairstyle trend is still around and going strong. If you are blessed with long hair, then flaunt it long and loose or with a beautiful braid. 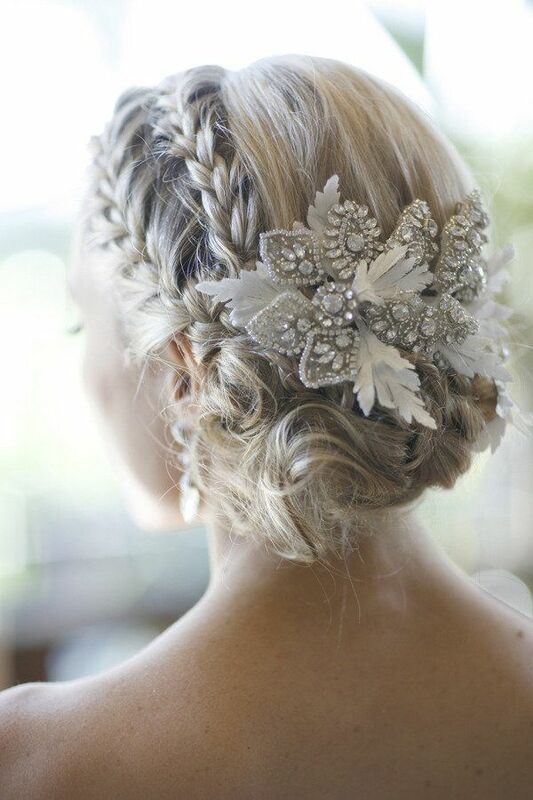 Add an embellishment with your braid, or on the crown, such as these pictured here. No matter whether you are planning on wearing a shrug to beat the cold or a full sleeved bolero, your beautiful Frozen inspired winter wedding hairstyle will be a hit! Accessorising your hair is all the rave. So don’t be afraid to do so. No matter whether it’s cold outside, you can wear your hair long or short, up or down. Which of these 5 beautiful winter wedding hairstyles for 2015 did you love?